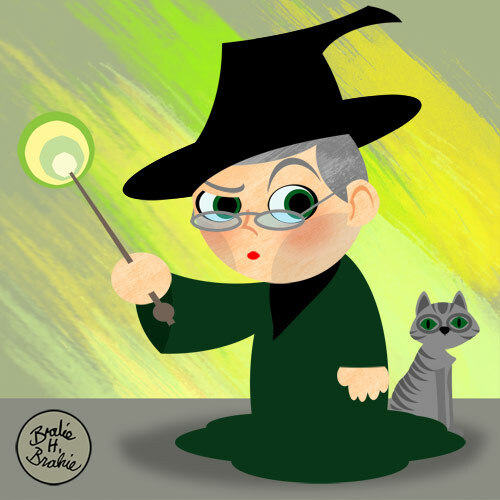 Minerva McGonagall is, I think, an excellent name for a witch. Sounds very witchy to me. Maybe that's why, with such a classic witch name, Minerva is the witch we see the most often sporting the classic Halloween witch hat. Way to kick it old school, MC McG. Minerva is also an animagus who can turn into a cat. This came in really useful that time Hogwarts was overrun with mice, when there was all this string that was rolled to nicely, and whenever you need someone to just stare halfheartedly out the window for hours on end.